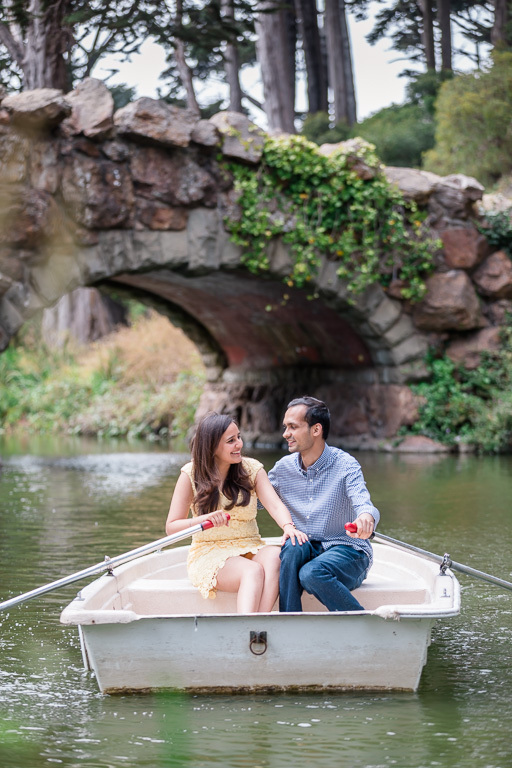 Aditi & Timir’s engagement session was a two-part affair. 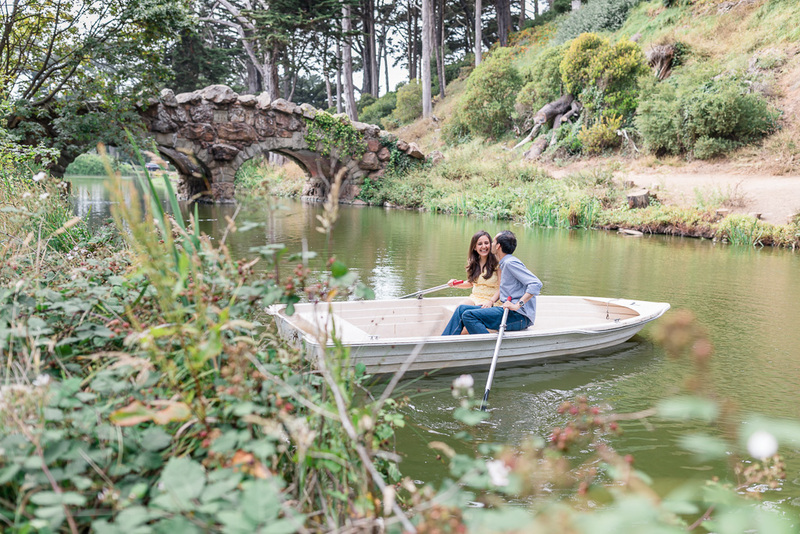 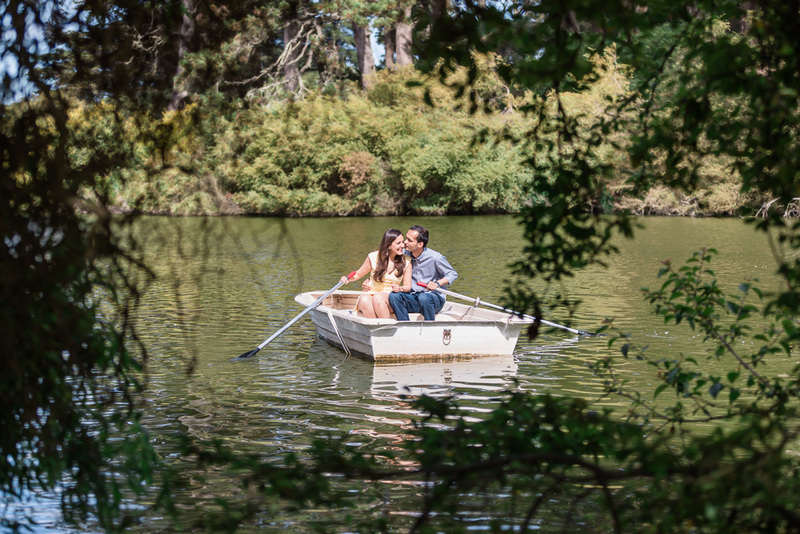 For the first set of photos, they hopped on a rowboat and paddled around Stow Lake for some fun, relaxed photos around the park. 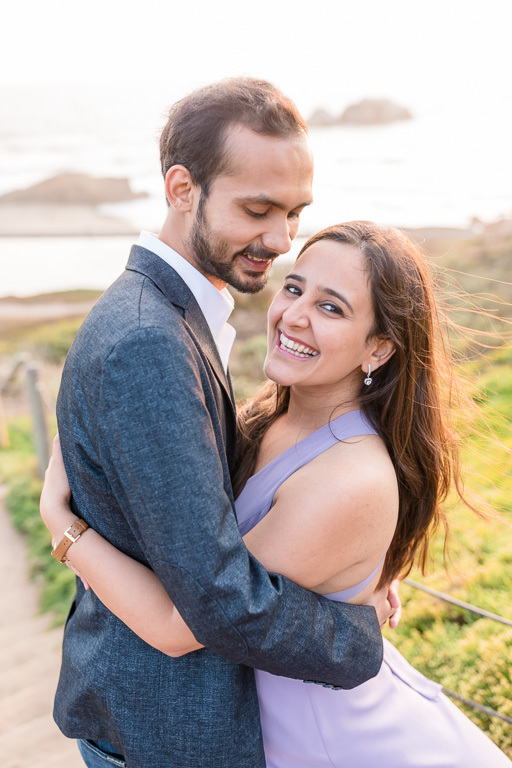 It’s not something I do often, but I think we got some really cute photos! 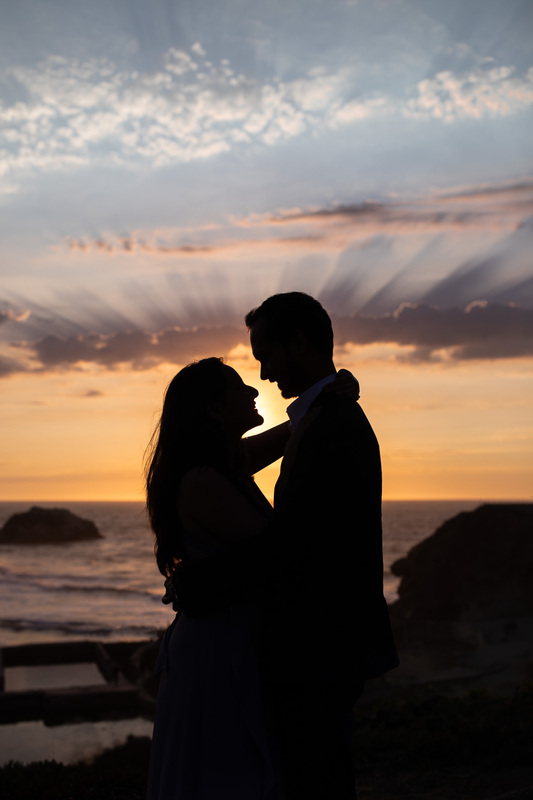 For the second set, they really wanted the perfect sunset. 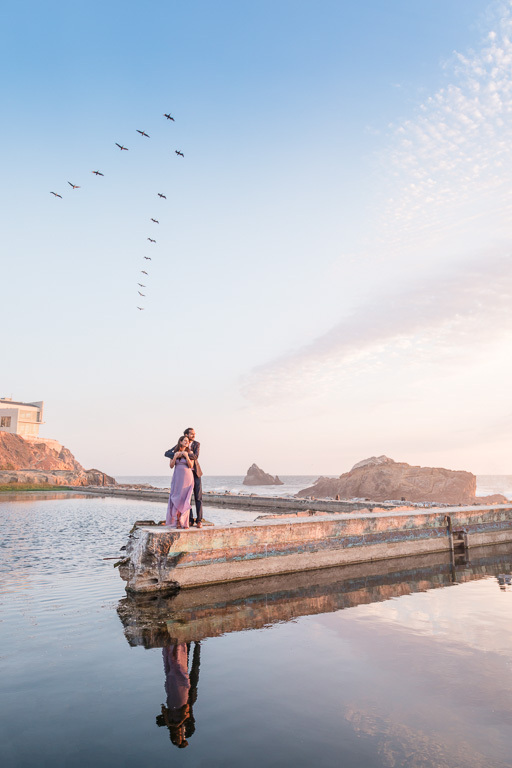 And let’s be real — with the incredible skies that San Francisco has to offer, who doesn’t? 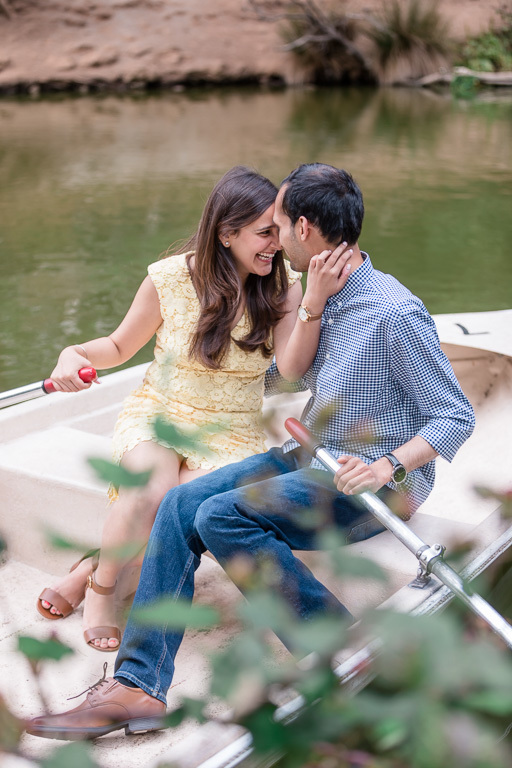 So the three of us waited patiently, checking the weather every day for three weeks, until finally the skies opened up one Fogust evening. 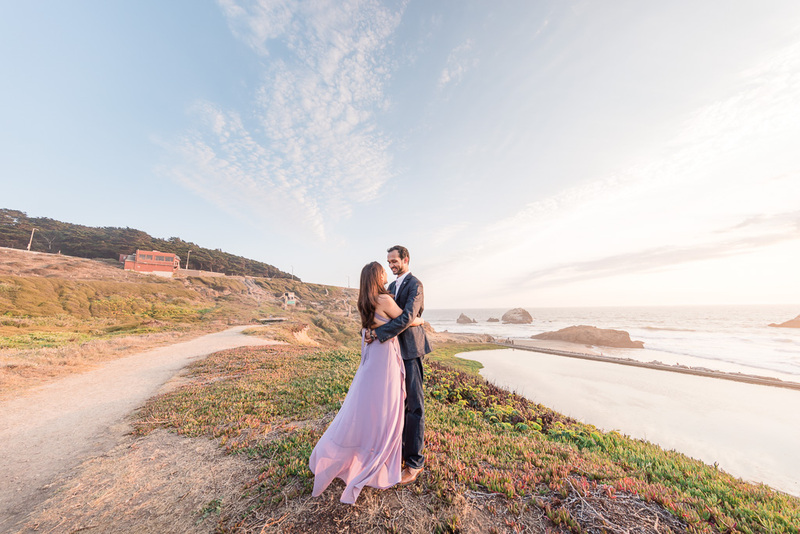 We rushed over quickly to take advantage of the incredible light! 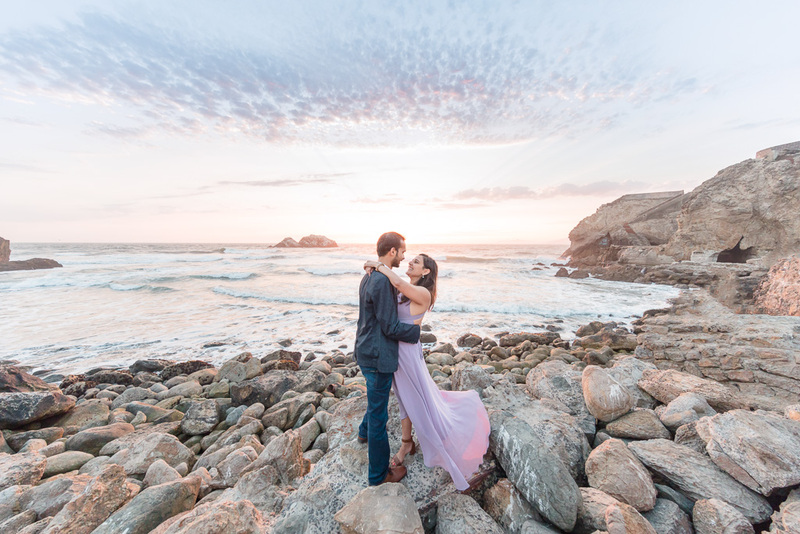 I’d say the wait was well worth it. 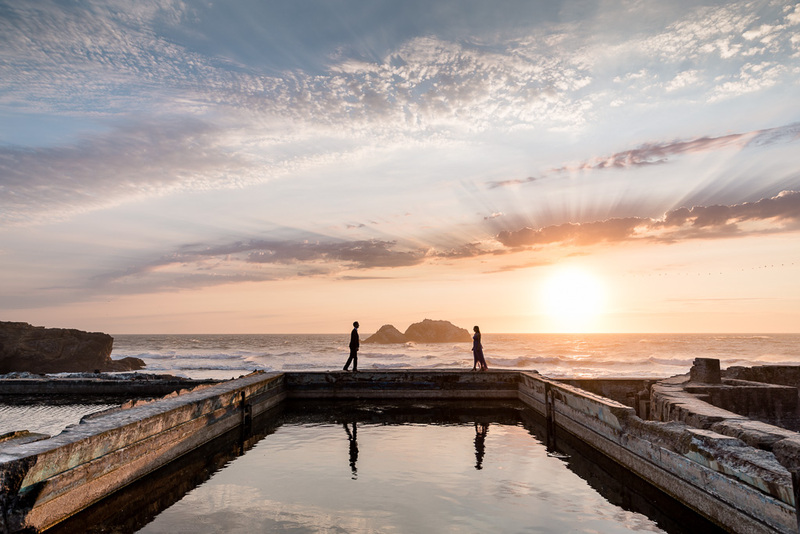 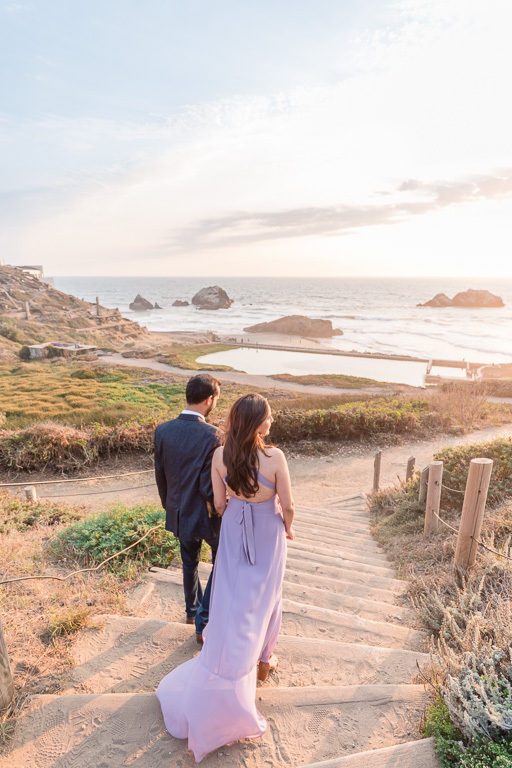 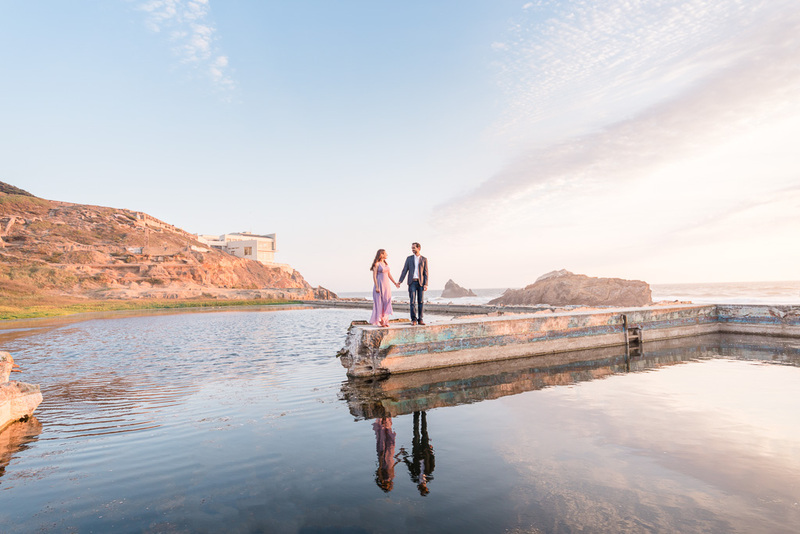 This was easily one of the most dramatic skies I’ve ever seen at Sutro Baths, and it complemented this beautiful couple just perfectly. 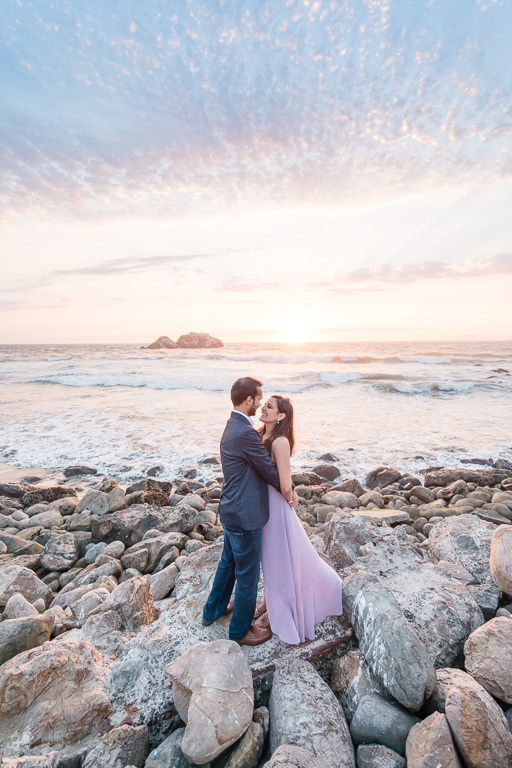 I’m so happy they got the stunning sunset engagement photos they were looking for 🙂 Congrats to A&T on their engagement and their upcoming wedding this winter!